The publishers and companies listed here offer commercial music, dance, theatre, and other performing arts curricula to homeschoolers. You will find everything from supplemental materials to complete curriculum packages. 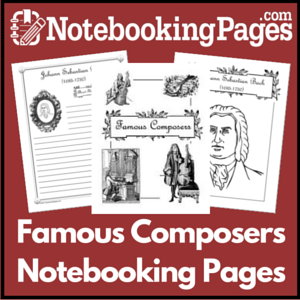 Some of these companies provide printed materials, instruments, and supplies, while others make it possible to learn the performing arts online through paid memberships. For additional resources, be sure to check out our compilation of websites offering free printable performing arts materials and interactive activities and games. Classic Tunes & Tales, Ready-To-Use Music Listening Lessons & Activities for Grades K-8, helps build students' interest and appreciation of classical music while developing their knowledge of the basic elements of music. The lessons include well-known melodies selected from the works of the greatest composers in history as well as interesting stories about the work or its composer, and fun and engaging activities and games that reinforce the lesson themes. Maestro Classics produces Stories in Music™, a classical music CD series for children ages 5 to 12 and their parents. Entertaining and educational, these CDs have won over 45 national awards. This series of works for narrator and symphony orchestra features new, sophisticated performances with the London Philharmonic Orchestra and child-friendly, fun-filled stories and musical explanations. Discovering Music, a lively and entertaining romp through history, adds a serious study of music and the arts to your high-school or middle-school homeschool curriculum. Also suitable for adults who want to expand their understanding of Classical music and the arts. The curriculum is taught by Professor Carol on 8 DVDs (13+ hours) Professor Carol and many other experts tie the history of art and music to math, science, technology, geography, and more. Pfeiffer House Music offers elementary music curriculum for grades K-6. They've made it possible, easy, and fun to teach music in a classroom or at home, even if you are not musically inclined. With lesson plans, audio CD and removable worksheets and flash cards included, you are equipped and capable of teaching musical concepts. Gibson's Learn & Master Guitar Homeschool Edition, a winner of Telly Awards, is recognized as the best in-home instruction course available. It is a complete 2-year guitar curriculum designed for home school families. It contains their full extended guitar course plus: 68-Page Teacher's Guide (with full 2-Year Scope-and-Sequence) and 2-DVD Teacher's Resource Set. The Learn & Master Piano Home School Edition is a complete 2-Year piano curriculum designed for home study. It contains their complete piano course plus: 68-Page Teacher’s Guide (with full 2-Year Scope-and-Sequence) and 1 DVD Teacher’s Resource. You’ll be able to take your home-school students (and yourself, if you like) through a comprehensive Piano-Learning system, even if you have no musical skills and no previous experience. Ready-To-Use Music Reading Activities Kit, a Sequential Approach to Music Reading for Voices and Instruments, includes 150 hands-on activities that help students of all abilities in grades 1-8 master the basics of reading music by actually singing and playing favorite children's songs on a variety of instruments. Sections include: reproducible worksheets, games, song sheets, composition worksheet award certificates, and Teachers' Resource Materials providing end-of-section tests and answer keys, follow-up activities, suggestions for extending the learning experience and classroom management. Also added is a new CD with clever accompaniments for many of the rhythm chants, melodic exercises and songs found in the text. Stories of the Great Composers is a book and CD set. The 12 units in Stories of the Great Composers give elementary students a glimpse into each composer's life, character and music. Includes a CD recording of the suggested listening, featuring one composition by each composer. Click here to read customer reviews on Amazon. The Story of Movies, presented by the Film Foundation, is an interdisciplinary middle school curriculum introducing students to classic cinema and the cultural, historical and artistic significance of film. Find lessons & activities for: To Kill A Mockingbird (1962, d. Robert Mulligan), Mr. Smith Goes To Washington (1939, d. Frank Capra); and The Day The Earth Stood Still (1951, d. Robert Wise) NOW ONLINE!